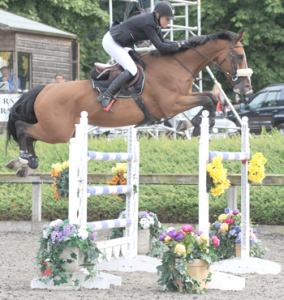 Britain’s leading international female showjumper, Laura Renwick from Maldon in Essex, scooped both the Leading Rider and Leading Lady Rider Awards at the CSI3* in Bethune, France after a stylish win in yesterday’s Grand Prix. With her own and John Renwick’s 9 year-old bay gelding Bintang II, Laura lived up to her Queen of Speed title after the combination produced a blistering jump off round in the CSI3* Bethune 1.50m Grand Prix to secure the top spot with a double clear in 42.26 seconds. 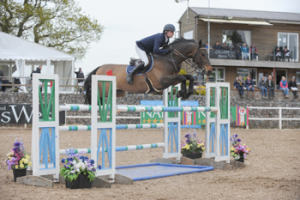 Laura and Bintang II fought off the challenge from fifty-nine other combinations to take home the lion’s share of the €45,000 prize pot and in a seven horse jump off, they took the win with a second and a half to spare. Spectators were given much to celebrate after home riders finished up in second, third and fourth place. Nicolas Delmotte and Darmani van’t Heik were Laura and Bintang’s nearest rivals following a double clear performance in 43.82 seconds. Alexandra Francart with Quelstar Du Vic Bi and Alexandra Paillot with Polias De Blondel took third and fourth, also with double clears, in 45.62 seconds and 45.93 seconds respectively. Ben Maher delivered the last of the double clears with Jane Clark’s 9 year-old bay mare Sarena II to finish in fifth on 47.92 seconds. A ‘Superstar’ performance at the Redwings Show! From novice horses and riders to veterans, heavy horses to Shetlands, the 2015 Redwings Show proved a great day enjoyed by all. On Sunday 17th May, Redwings Horse Sanctuary welcomed over 125 competitors to their annual show at Topthorn Equestrian Centre in Suffolk. Participants competed in more than 50 classes including TARRA, DBS affiliated and the highly anticipated heavy horse classes – a first for the Redwings Show, now in its sixth year. The 2015 Supreme Championship went to Amelia Short and her impressive nine-year-old hunter Cairnside Houdini (pictured below). “He’s a superstar!” commented Amelia. “Today is only the fourth time we’ve jumped together, I’m so happy” – and amazingly the pair have only been partnered since February this year. As well as being Working Hunter Champions, they also took the Open Working Hunter over 15hh class under judge Fiona Hirst. Hallie Booty with her Highland Macallumdene were Reserve Champions overall; they took the Mountain and Moorland Large Breeds class and were Ring One champions as judged by Adam Pike. 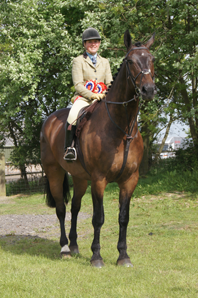 Ring One reserve champions Anna Chaplin and Primitive Poirot also had a great show this year having placed first in all four of their classes – Riding Horses and Coloured/Palomino/Spots in Ring One, and Coloured Working Hunter Horse/Pony and Working Show Horse in Ring Five. 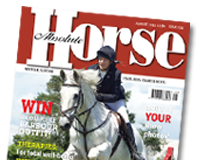 Classes aimed at novice riders in Ring Two and judged by Aaron Foster proved hugely popular this year with the championship taken by Victoria Hawkes and Monarchill Cercean, and reserve Chantelle Foulger with Dora. Another stand-out pairing in Ring Two was Wootton Heath Breeze and rider Joanne Cann who won the Novice Rider Walk and Trot class and the Novice Handler class. Ring Three was host to our ever-popular fun classes and were judged by Redwings’ Head of Veterinary and Care Nicky Jarvis, who enjoyed the event as much as the competitors. Among notable winners Prettiest Mare Trefelwind Kiss Me Kate, Longest Mane and Tail Teddy Bear (who also had a suitably impressive moustache to boot) and My Best Friend Parlington Uhlan, was the glorious Hartscrest Buccaneer (otherwise known as Basil) who with Ruth Everard won Best Condition Ridden. Ring Four saw the introduction of one of the two new heavy horse classes for 2015 with Clydesdale Mac taking Heavy Horse In-Hand and reserve Ring Four Championship. The Ring Four Championship went to Melin Papur Heaven Sent and Aaron Calver as judged by Janet Smithers. The donkey classes, judged by Jane Etheridge, were as popular as ever this year with the championship going to Wendy Sawyer’s two-year-old stallion Justa Cuzican who was the winner of the Youngstock class, while reserve was the winning mare East Lodge Daisy with handler Diana Dunstan.